Omnichannel World – sell where your customers are. Now on 7 more price comparison sites. BlogEcwid UpdatesOmnichannel World — sell where your customers are. Now on 7 more price comparison sites. Omnichannel World — sell where your customers are. Now on 7 more price comparison sites. Delivering multi-channel opportunities to our merchants has always been the goal at Ecwid. We developed our unique widget architecture and thus made it possible to insert the same storefront to many websites, blogs or Facebook pages at once while managing it from one control panel. Moreover all changes between storefronts are synced instantly! 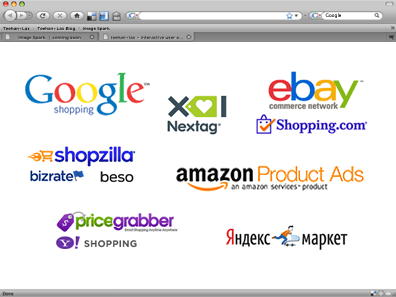 Today we’re excited to announce that Ecwid can export your items to 7 major shopping comparison sites. These marketplaces are very popular and can be a great source of new sales. This feature is only available on Business and Unlimited plans and can be enabled on the Promotions — Marketplaces page in the Ecwid control panel. If you are on the Free or Venture plan, upgrade today to increase your sales. How are you planning to use these marketplaces? What new sales channels do you want to see in Ecwid? We would love to hear your feedback in the comments below. More features released this week: Getting ready for a multi-device web  and Summer features — a lot of new great improvements.